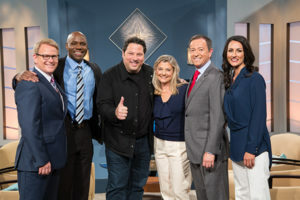 Greg Grunberg played a police detective with special powers on the TV series Heroes and was the best recon flier in the resistance in Star Wars: The Force Awakens. But when his smart, athletic, and otherwise healthy 7-year-old son, Jake, was diagnosed with epilepsy 6 years ago he had to do some very different research to help him. Greg shares what he has learned as a parent and is joined by Dr. Christianne Heck, Medical Director of USC’s Comprehensive Epilepsy Center to help us understand a bit more about epilepsy.